Healthcare carries the highest charges than any other industry in the U.S. today, taking a $3 trillion-dollar hit on the budget. A recent study by Deloitte, suggests the United States continues to spend more on medical care over many countries in the world. In 2013, we paid 17.7 percent of Gross Domestic Product (GDP) and in 2014, it grew by 4.9 percent. Medicare does not insulate seniors from the burden of medical care expenses. Older adults pay a better portion of their plan premiums and bear higher out-of-pocket costs. The medical care growths continue as people develop chronic illnesses in older age. Some improvements may help the escalating costs of healthcare by cultivating a better experience of the care received, lowering the expenses, and evolving the health of the masses. The Aging Council at Seniorcare.com identified several trends to help the system to reform. 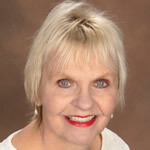 Carol Marak is the editor at SeniorCare.com. She's earned a Certificate in the Fundamentals of Gerontology from the University of CA, Davis.